When you register with us, you will have access to all GuideLoom powered merchants, vendors, associations, venues, attractions and events around the world. You can use GuideLoom to place an order in advance, purchase tickets for events or concessions, or give yourself a tour of the points of interest in a new city. 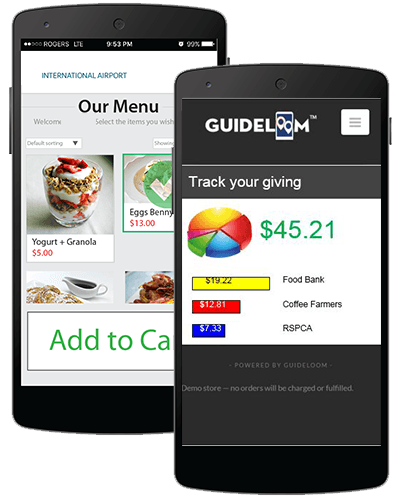 With every transaction you process with GuideLoom, you will be able to select from a list of Social Impact Associations or causes in the your area. GuideLoom will make a contribution on your behalf from OUR revenues from YOUR transaction. By making your life easier, you are completely changing the life of another; so why not use GuideLoom?